Mr. Potter is a Principal attorney in the Offit Kurman Construction Law Practice Group and is a resident of the firm’s Harrisburg, Pennsylvania Office. Mr. Potter focuses his practice on counseling architects, engineers, design-build entities, owners and other businesses involved in construction contracting, commercial and construction litigation, administrative law, and professional licensing matters. Mr. Potter serves as general counsel to AIA Pennsylvania, special counsel to the American Council of Engineering Companies of Pennsylvania and is a member of the Penn State Harrisburg Advisory Board for the Structural Design & Construction Engineering Technology and Civil Engineering Programs. He frequently provides seminars and lecturers at national, regional and statewide forums on topics including construction contract documents, construction delivery methods, design and construction errors and omissions, risk management, construction and project management, construction litigation and design professional ethics. Mr. Potter has represented clients in mediation and arbitration proceedings before the American Arbitration Association and before administrative agencies including matters before the Pennsylvania Department of General Services, Department of Labor & Industry, PennDOT, and Department of State Bureau of Professional and Occupational Affairs. 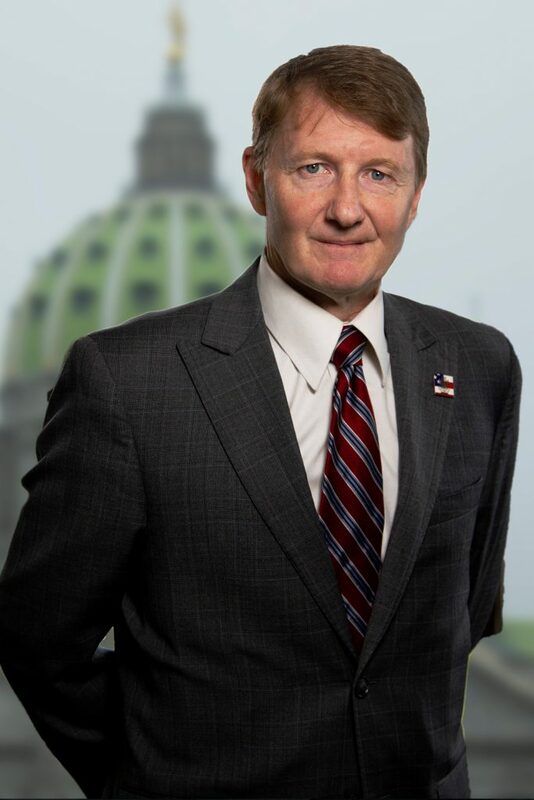 He has also represented clients before various courts including Courts of Common Pleas, the Commonwealth Court of Pennsylvania, the Superior Court of Pennsylvania, the Supreme Court of Pennsylvania, U.S. District Court for the Middle District of Pennsylvania, the U.S. Court of Appeals for the Third Circuit, and the U.S. Supreme Court. Before joining Offit Kurman, Mr. Potter was a shareholder at another firm in their Harrisburg location. Mr. Potter was Assistant General Counsel to Pennsylvania Governor Tom Ridge. As an assistant general counsel, he was responsible for representing the Governor and cabinet level officials in federal and state court, providing legal counsel to department heads, was lead counsel on public finance transactions, and oversaw the legal work of attorneys from a variety of state administrative agencies including the Department of Labor & Industry. As a Central Pennsylvania native, Mr. Potter received his law degree with honors from Widener University School of Law located in Harrisburg in 1995 and his undergraduate degree in Political Science from Millersville University in 1991. Mr. Potter is a member of the Pennsylvania, Dauphin County, Federal and American Bar Associations. Mr. Potter is licensed to practice in Pennsylvania, Maryland and before the U.S. District Court for the Middle District of Pennsylvania, the U.S. Court of Appeals for the Third Circuit, and the U.S. Supreme Court.